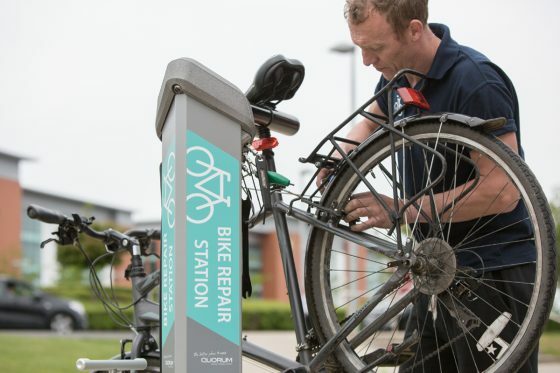 The Deluxe Repair Station is an all-in-one, robust repair facility that can be installed in any location, providing cyclists with free equipment to make adjustments and repairs on the spot. This dynamic heavy duty product is made from formed and TIG welded steel and cast aluminium. 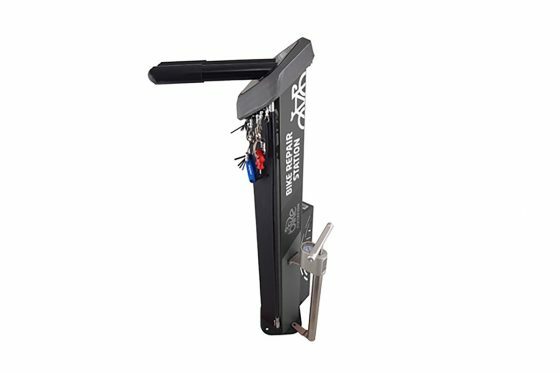 The Deluxe Repair Station features a range of eight tools securely attached by retractable stainless steel cables, as well the option of a pump and wheel holder. 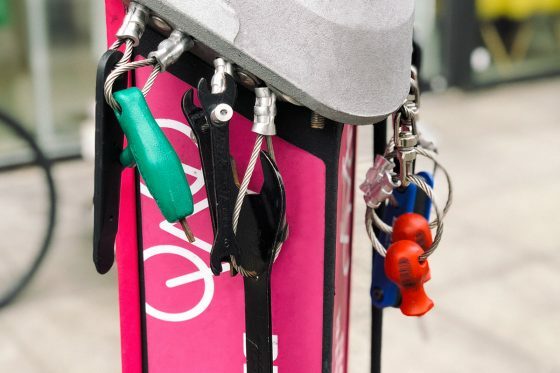 Available in a range of colours, its’ UV resistant powder coating assures its resilience to high levels of corrosion making it ideal for installation at any cycle parking facility in both urban, rural and seaside locations. 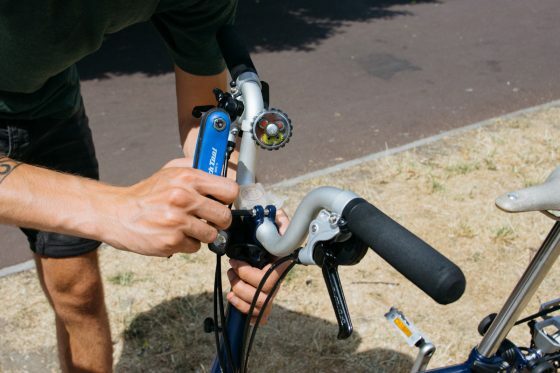 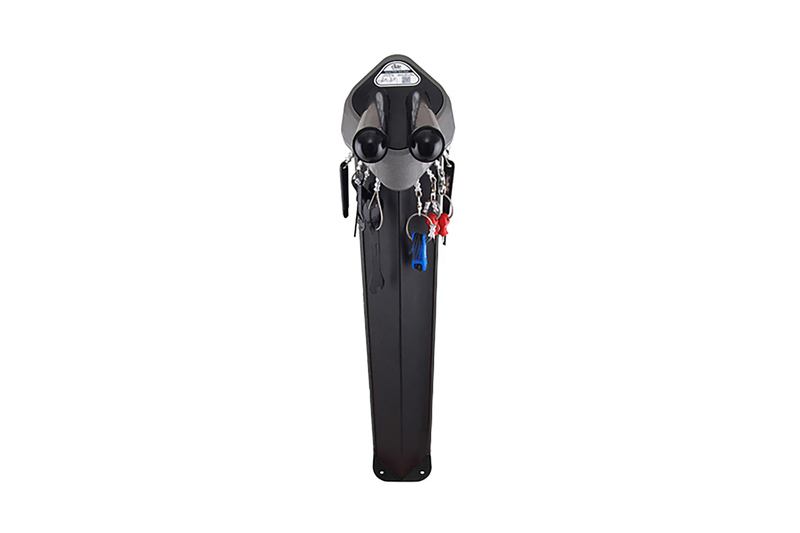 It is a great accompaniment to the indoor and public bike pump. The Deluxe Repair Station is ideal for installing at indoor cycle parking facilities, or outdoors in high profile city centre locations. 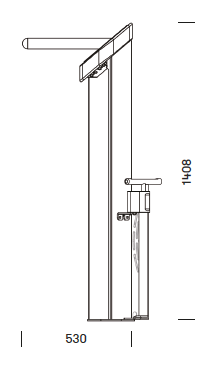 Lead time: Up to 4 weeks if in stock.